RAPAPORT... The Gemological Institute of America (GIA) found just one natural diamond in a melee parcel containing more than 1,000 undisclosed synthetic stones, according to a recent lab note. The organization’s New York center received 1,102 small diamonds weighing a combined 9.67 carats for its melee-analysis service. Initial screening referred 1,093 of them for further testing, while the GIA could not assess the other nine because they did not meet the service’s criteria for examining stones. Spectroscopic tests confirmed 1,092 of the 1,093 diamonds to be synthetics created using the High Pressure-High Temperature (HPHT) technique. This case represents the largest percentage of undisclosed synthetic melee the GIA has seen in a parcel, researchers Stephanie Persaud, Wuyi Wang, Paul Johnson and Ivana Petriska Balov wrote in the summer 2018 issue of Gems & Gemology, the institute’s journal. “The increase in the amount of synthetic melee submitted — both disclosed and undisclosed — to GIA’s laboratories for identification has exponentially increased since GIA began offering its melee-analysis service in 2016,” the team wrote. 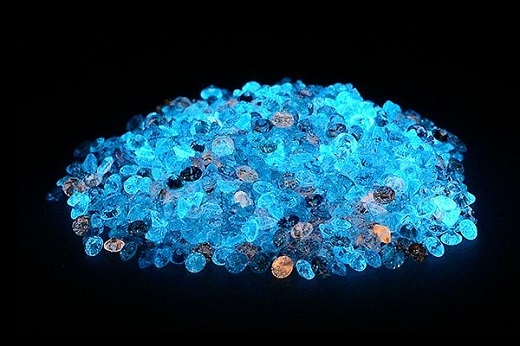 More commonly, the GIA receives bags of melee containing a mixture of natural and lab-grown diamonds, or with just a few synthetics — a practice known in the trade as “salting,” the researchers said. One notable characteristic of the latest melee batch was the absence of nickel, a catalyst that manufacturers often use in the HPHT process, the team wrote. Gemologists did not detect the element when they put the material through the spectroscopic examination. “The majority of the HPHT synthetic melee had no detectable traces of [nickel], demonstrating the importance of advanced testing to identify these melees,” the authors added.